My furry friends were lucky enough to get some goodies from Online Pet Supplies. They were excited the moment the box arrived! 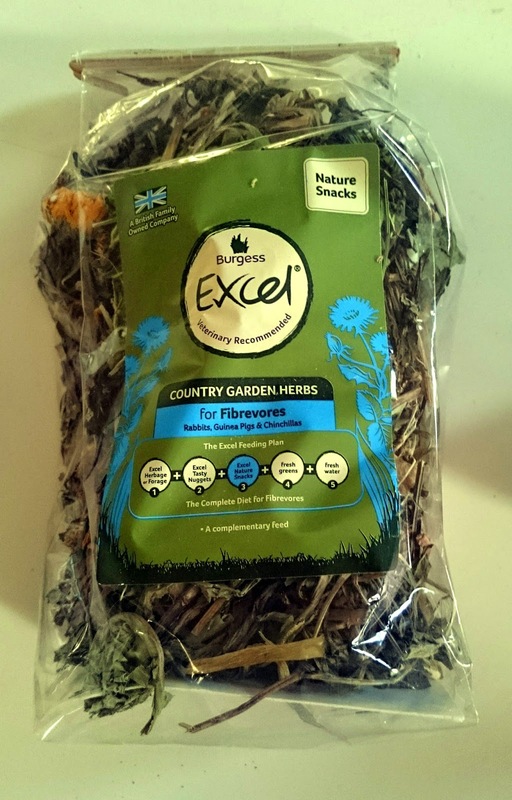 It's a mix of flowers, herbs and vegetables that are a snack to go along side their usual food. I know my guinea pig Barry will eat just about anything but he was popcorning around this cage when I put this in and then went on to full on shoving his face in it, so I think we can say he was a fan! The rest was for my dogs and it's safe to say they were so spoilt! 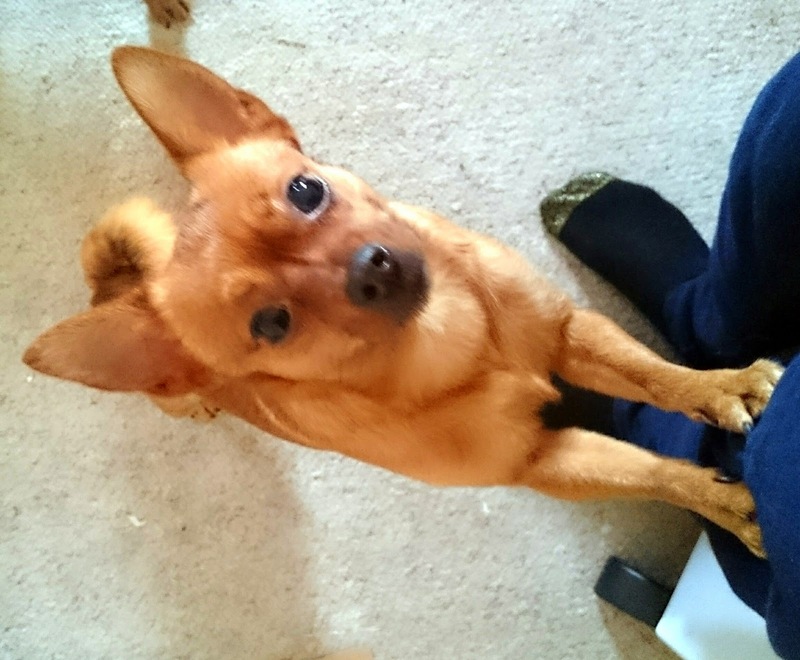 My dogs aren't particularly fussy eaters and will eat just about anything but if it's something they don't like they will point blank refuse to eat. 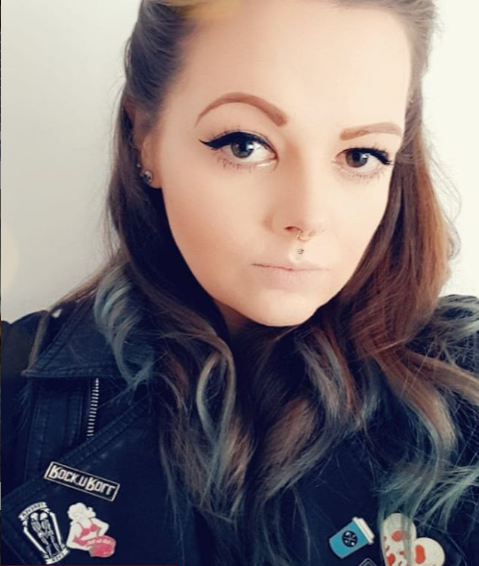 I can safely say there wasn't any fussiness with anything they received, and the Bison bites were a firm fave from the get go! 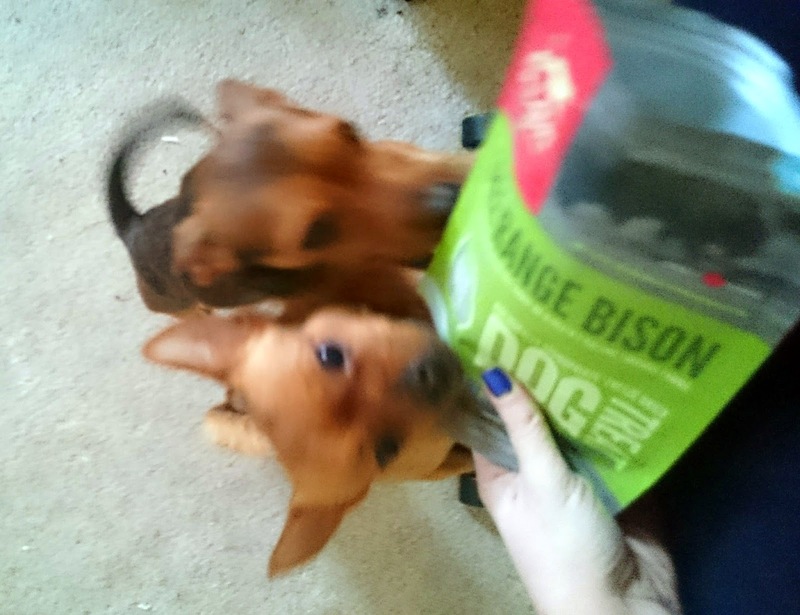 I'll start with the top choice from Bella & Coco; the Free Range Bison Dog Treats. The second the box was open they started head butting the package around the living room and once they'd tasted them it was utter madness. As soon as they see the pack come out the cupboard they are barking, crying and doing anything they can to get their paws on them! 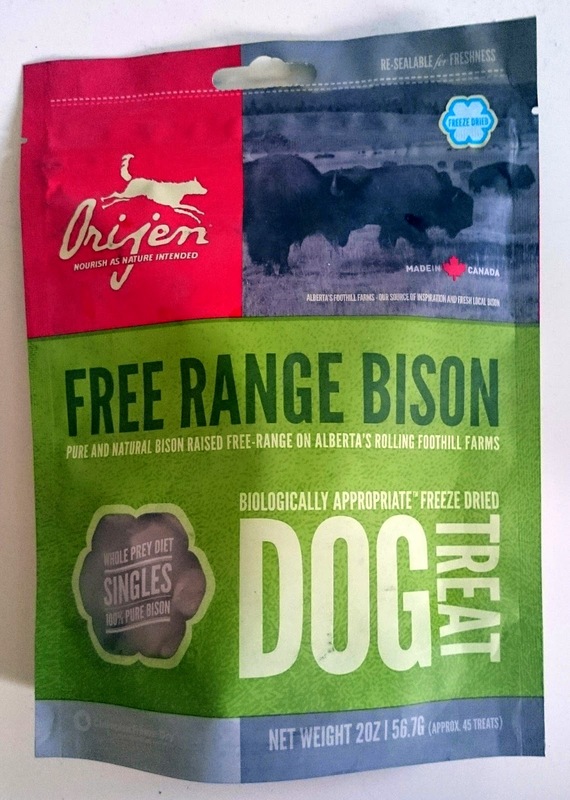 These dog treats are made from Bison that is free ranged and are preservative free! They are freeze dried so they are not only tasty but good for them, which is a winner for me. I will most definitely be purchasing these as I don't think my ladies would ever forgive me if I didn't! 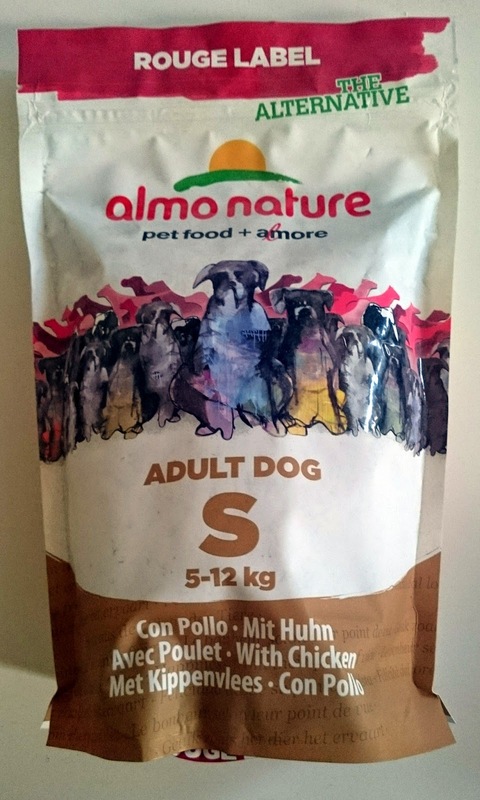 Next up was Almo Nature Dog food with Chicken. Almo Nature is a brand that prides itself on being Super Premium, natural and a well balanced complete food for all dogs. It's made with up to 26% fresh meat and contains no artificial chemicals, flavourings or preservatives. Now my dogs have a mix of wet and dry food as they won't eat dried food by itself so I mixed this with the dog food I received! They munched this away happily with no fuss and I was even able to get them to eat this on it's own in small portions which is an achievement! 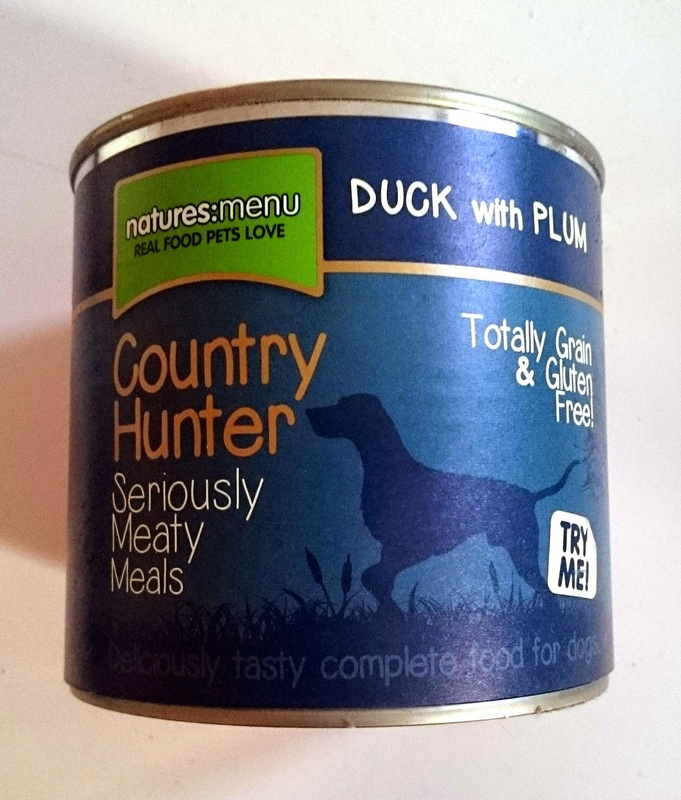 Finally was the Natures Menu Country Hunter Meals Duck and Plum Dog Food. As much as I love my dogs I cannot stand the smell of dog food, it always smells awful but this stuff was completely different! You could see the big lumps of vegetables and meat and it smelt like real food, not that normal dog food smell. My two ladies munched this down in seconds so I'd say it tastes as good as it looks! Overall I'm super impressed with www.petshop.co.uk they have a massive range of items, delivery was super quick and there wasn't an item we received that didn't go down well! I will be purchasing them in the future and will be recommending them! What treats do your pets enjoy? *The items in this post were kindly gifted to me by www.petshop.co.uk. As always opinions & reviews are 100% my own. Your guinee pig is amazing, it's soo fluffy I'm gonna die! Lovely post, nice to see some treats for animals rather than just make up for bloggers.